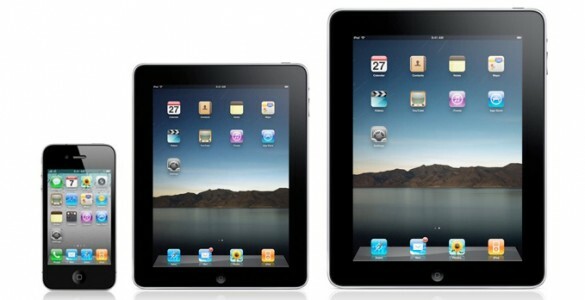 iPad Mini – Empty Rumor or Marketing Technique? The rumor about the possibility of Apple issuing an iPad “mini” with a 7.85 inch screen on the market has been circulating through various media channels, making such a fuss that some people take it almost as a certainty. The rumors are fed by information supplied by the company itself, fact which demonstrates that Apple without Steve Jobs has gradually lost its unique status as a “house of secrets”. According to some of these sources, the next iPad Mini will incorporate some of the iPhone 5’s features, such as the anodized aluminum shell and a Lightning connector. Actually, it seems that the latter is about to become a standard for new mobile products manufactured under the Apple brand. Information is not the only leak concerning the potential iPad Mini for whose manufacturing the Chinese company Foxconn (Apple’s historical partner) and Pegatron are believed to be in charge. A set of photos has appeared on various websites, witnessing the presence of a slot for a NanoSim, just the same as with iPhone 5. This means that the iPad Mini will be compatible with 3G and maybe 4G as well, which is not such a big surprise, after all. However, if this proves to be true, the iPad Mini will make a formidable competitor for Nexus 7, which despite all its qualities, is not equipped with 3G and has solely a WiFi connection. Although some reservation would be recommended for what is currently only a set of rumors, there is too much information and similar details arise from different sources to be just a mere rumor. One thing is certain: the iPad already almost completely monopolizes the market. It may kill the competition if it enters the 7 inches field as well.